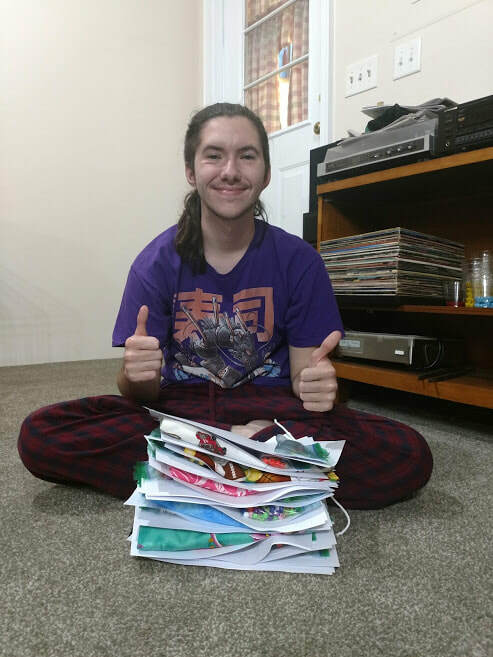 Twenty-seven orders are going out to participants on Tuesday! So many "good updates" from my Warriors! Stay strong and never give up!!!! ​I will always support our troops! Check it out - 57 cups of coffee delivered! ​Twenty-three orders of Warrior Beads shipping out tomorrow!!! The program is currently only working with established participants - we are maxed out at 5000 participants in over 30 countries! 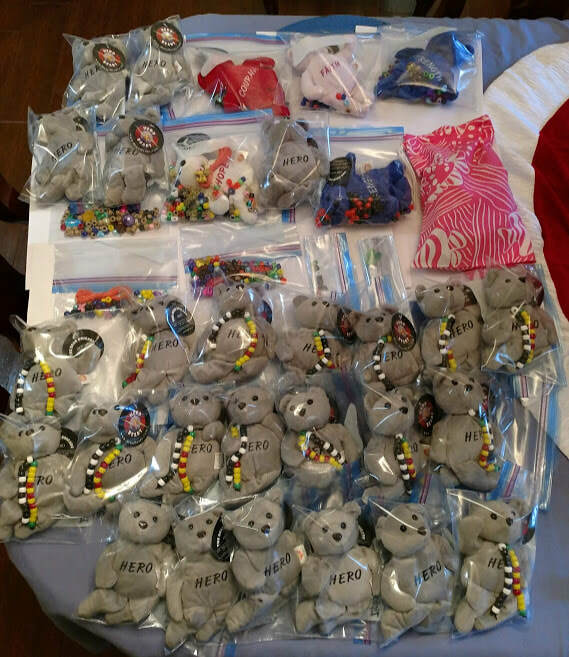 ​THIRTY orders of Warrior Beads shipping out on Monday! Sixteen orders of Warrior Beads shipping out! 1Boy4Change sharing HOPE for the holidays and always! For Thanksgiving - I gave "thanks" to the men and women serving in the military. 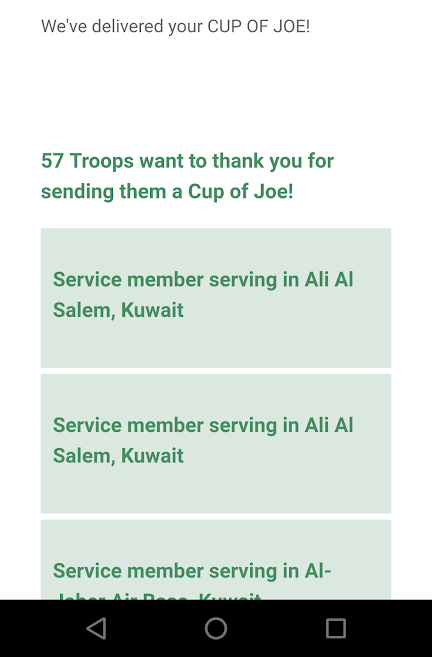 I sent "100" cups of coffee to the men and women serving in harm's way! Real American Heroes! I will always support them! Five orders of Warrior Beads going out tomorrow - including our Angel Warrior's beads. RIP little Warrior - 3 1/2 years old is too young. May your Warrior Beads remind your family how hard you fought to stay here with them. Now your are whole - no pain, no procedures - run, play, and smile! 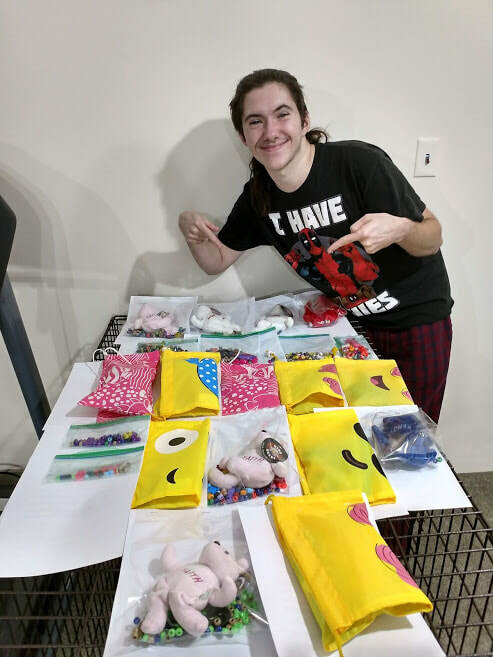 Seventeen orders of Warrior Beads shipping out today from Exit 29 Postal & More, Brunswick, Georgia! Warrior Strong!! !